Clare treats a broad range of conditions and have specialist training in musco skeletal conditions and in fertility and gynaecology. It was whilst undergoing IVF treatment that she discovered the benefits of acupuncture and has used it ever since. For Clare acupuncture is natural and effective way to get well and stay well. Clare has also started studying to become a naturopathic nutritionist and can prescribe under supervision. Clare is a fully insured member of the British Acupuncture Council the UK's largest professional/self-regulatory body for the practice of traditional acupuncture. 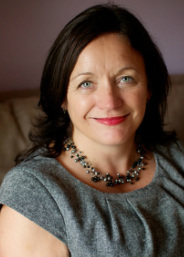 Clare is a founder member and secretary of the Acupuncture for Conception to Childbirth Team in Berkshire. This is a professional group of qualified traditional acupuncturists who offer specialist treatment of conception through to childbirth as well as postnatal support. To become a member you have to members postgraduate training in obstetric and fertility care and attend regular meetings to develop best practice, explore the research base and provide peer support. ACT Berks aims to work with local healthcare professionals, and to build support networks for the benefit of their practitioner's patients. I am a member of a register that has been accredited by the Professional Standards Authority. The AVR is a governement scheme to improve standards and safety. Accreditation demonstarates commitment to high professional standards benefiting for the public.